locally, we appoint Managing Directors to focus on a specific geographic area. Our Managing Directors are clear proponents of our 'powered by experience' way of doing business with you. Marcello built his career among the Consumer Goods & Consumer Electronics Industries in the Americas, including senior experience both as management consultant and as industry executive. Before joining InReach, Marcello worked for McKinsey & Company as Expert in the Consumer Goods & Retail Industries for Latin America. He also worked for Schincariol Beverage Group (major beer and soft-drinks player in Brazil) as Business Unit Director, leading their International Division and optimizing their distribution network in Brazil. 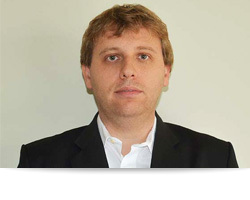 Marcello is Business Administrator (FGV-Brazil) and Economist (USP-Brazil), with post-graduation and specialization studies in Wharton-USA and Babson-USA. He speaks fluently English, Portuguese and Spanish.